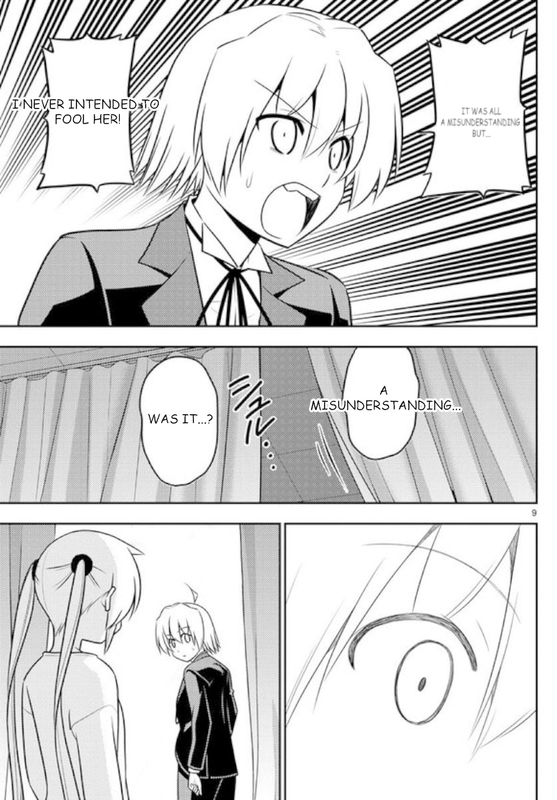 Seeing the spoiler, I partially withdraw my theory of nagi making hayate forgive his parents. If she still does so, then I would have to say she will surpass all limits of forgiveness. I kind of starting to feel the importance of mikado in the story. If hayate would not have met santa , it would be a rear chance for him to not be like his parents regarding how he violates many rules ( though apparently for good purposes). I'm still holding on to the forgiveness theory. She doesn't have to like them, she just has to convince Hayate that they should be forgiven so that Hayate and Nagi can both move on with their lives. 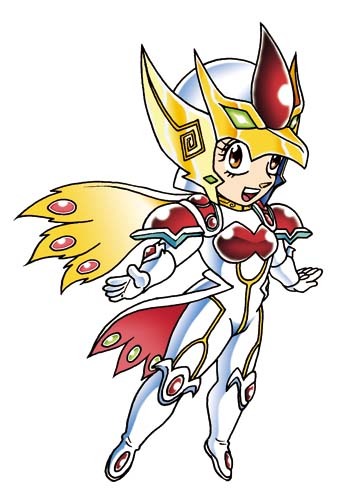 They destroyed the Athena x Hayate relationship once. Now they're attempting to destroy the love between Hayate x Nagi that hasn't been fully realized as of yet. The parallelisms are obvious. Hayate failed Athena once. How would that make him look if he fails Nagi (who is now the most important person in his life just like Athena was once) now? Not a very good story and not a very good protagonist. But at this point nagi must be clear to herself what she wants. During sakuya's birthday, she told that having a family is not bad while hayate opposed as it is not true if the family is like his. She told hayate is not useless as her dad but the proper definition of family is unknown to her. 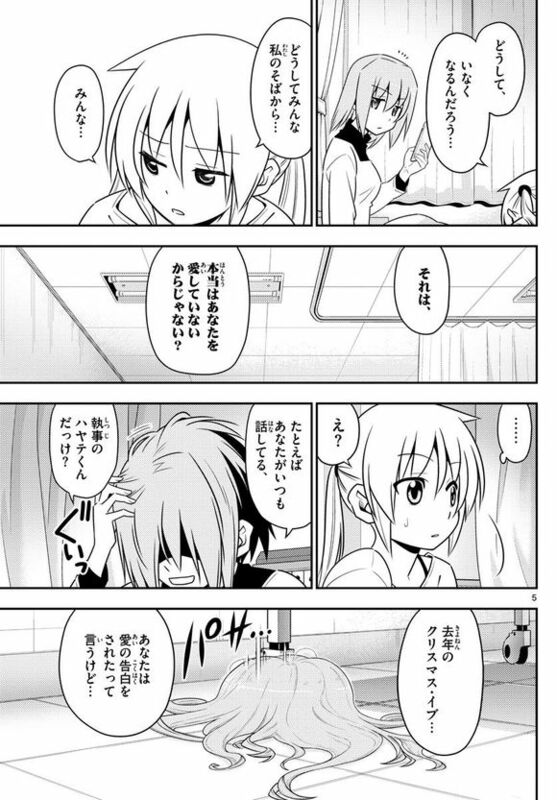 As hayate still does not know how much worth his life has. So while clearing the misunderstanding, they must find these answars too. And they must do something about his parents neither they will only cause problems for the world. Very true. 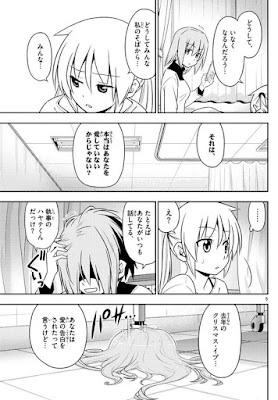 Hayate's parents must be put out of commission so they can't harm anyone else. With that said, I think it's a task best left to Mikado or the proper authorities. 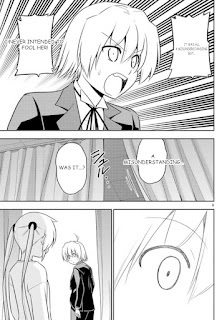 Hayate and Nagi do need to resolve their own personal inner conflicts before this arc ends however -- and I'm glad we are actually moving towards just such a development. So I guess the theory that Nagi was kidnapped by his worthless parents will come true. Either that or she went to the Royal Garden. Did you read the spoilers all the way? Nagi's jewel glowed while talking to Hayate in her room. It's amusing how a majority of my predictions since the last few months have been coming true and other shippers are STILL in denial even with these spoilers. That you find it unacceptable is up to you, people... with that said, this doesn't mean that Hata sees it your way. Seems so far, he's seeing it our way. So yeah, criticize him all you like. If criticism is all you have left since your ship is objectively sunk, go for it. THE MAIN PROBLEM here with you other shippers is that you think fondness has to be exclusive and romantic love has to be exclusive. You don't think one can eventually turn into the other. Hayate has always been the most fond of Nagi. What he feels for the other girls barring Athena (ship sunk objectively and literally) and to some extent, Ruka (ship sunk even before Athena) is NOT romantic love. What he feels is a crush -- an attraction that COULD lead to romantic love. Now with that said, Nagi has been the person he is most FOND of. What you call PLATONIC love... but now we're sure they're not blood-related and Nagi is STILL the most important person in Hayate's life. This is what his tears prove NOT romantic love as you think we're implying. However, with these factors combined, where we DO NOT see eye to eye is that his PLATONIC love is not mutually exclusive. Nagi has BEEN OBJECTIVELY MATURING VERY QUICKLY. Hayate has yet to fully acknowledge this maturity but it just takes one single moment that he does acknowledge it and one single clue of ATTRACTION towards Nagi and his fondness would now be transformed into your ROMANTIC LOVE. This is where we do not agree. We draw the line here -- but well, as you can see, Hata sees it our way. Sorry. Finally!! The root of the problem is being addressed. 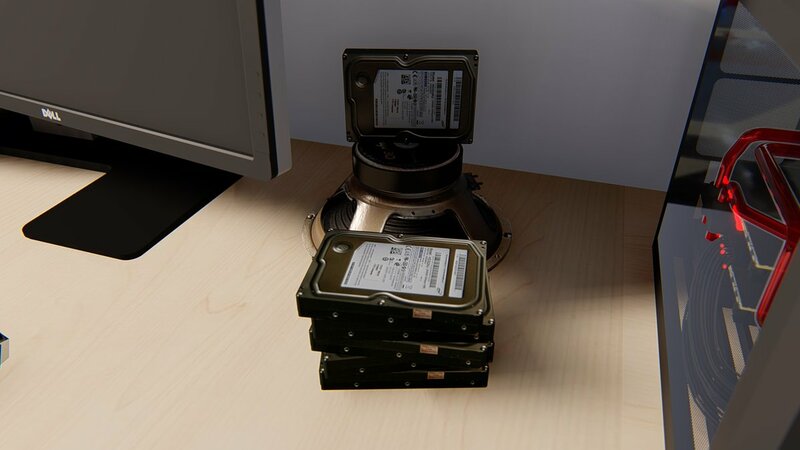 This bomb was meant to explode the moment it was planted between them. I'm very happy the manga is now progressing so well. I think they should be separated for sometime now in order for both of them to realise each one's significance in the other person's life and accept it. 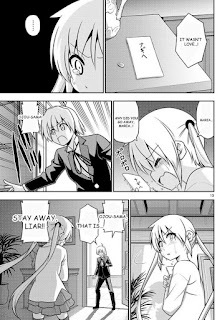 Hayate crying was delicious. He should taste his own salty tears now that they have been seasoned well with Nagi's wrath. I'm glad that we agree on that. 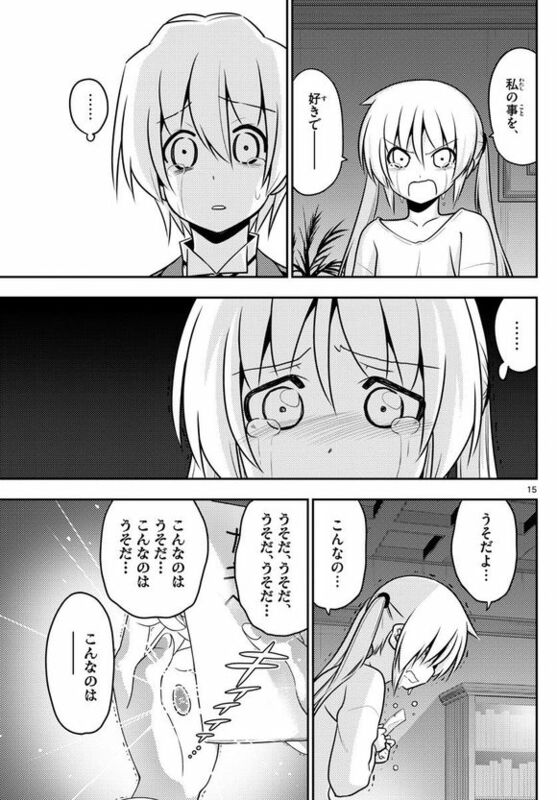 I'm wondering where the haters got the impression that we think Hayate is now falling madly in love with Nagi because of those tears... it's an argument that they assumed and then began to break down when they were one proposing it in the first place... LOL! -Nagi's: You don't need to put it into words. Words are the root of misunderstandings. I remember in the radical dreamers episode, nagi unknowingly tells hayate a lier while it was proved to be wrong later.And in this chapter too , she tells him a lier, but it was a misunderstanding, not a lie. This manga is getting so exciting and heart-wrenching as it approaches the end. I'm finding it quite significant that when hayate and Athena separated in their childhood, hayate's parents (specially his father) was involved and now during this difficult moment between him and Nagi, his parents are involved again. And his parents are the main cause for him to ever meet with these two girls. It's worth noting that Ikusa warned him not to lose sight of what's truly important. Ikusa also asked if hayate can really die for the sake of nagi. Hey guys! 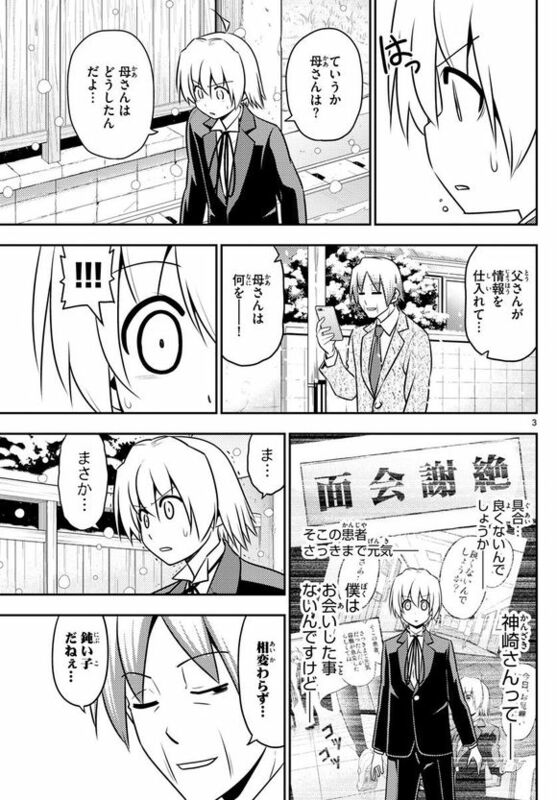 Just coz it's my birthday today and I love Nagi so much, I just uploaded my rough translations of the Hayate x Nagi pages at the bottom of this blog post. Check them out. Happy birthday!! And thank you for the translations. So how old did you become? Happy birthday to you! It was being hard to wait till the official translations, so thanks a lot. Oh, one thing: Rather than do too much of an in-depth analysis in the next few chapters leading to the ending, I think I'll have some fun and write my own what-if mini-fanfic scenarios as inspired by the current events in the manga. I'll still do a little bit of reviewing of course. Did that doctor say she knew "Kanzaki" as one of her old patients? If this Kanzaki is actually Hayate's mom in disguise, does that mean there is another Kanzaki? Nah, she said that patient's condition changed abruptly. 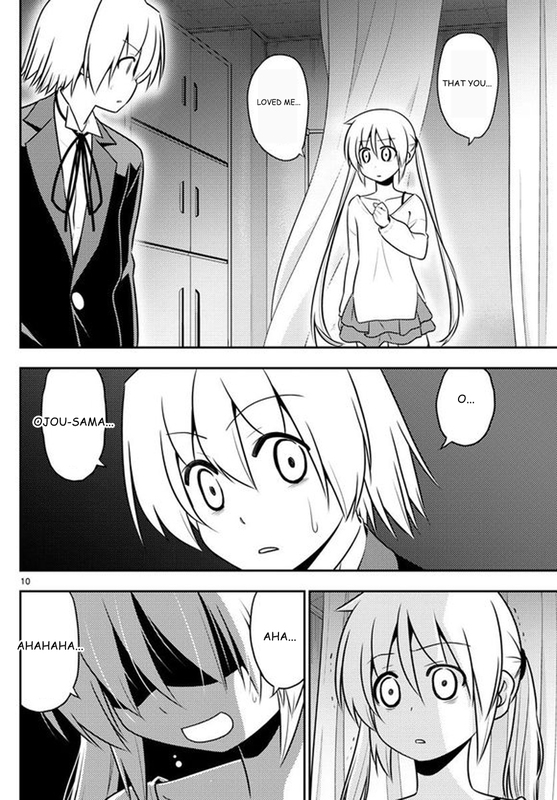 Probably a calculated move by Hayate's parents so he wouldn't see "Kanzaki." Kurosu said she was visiting some old patients but not Kanzaki specifically. "Broken mirror, a million shades of light. The old echo fades away. But just you and I, can find the answer and then we can run to the end of the world." "Broken Mirror, a million shades of light, the old echo fades away, but just you and I, can find the answer someday." The name of the poem, "A Distant Promise" reminds me of chapter 122 which was titled, "Voices of a Distant Star". That chapter was significant because yukariko had promised Nagi that she'll watch over her from a distance, in the form of a star. And the lyrics of the song, "run to the end of the world"...well, we have "the end of the world" arc, of course. I can help out with that one. Hata also used "5 Centimeters Per Second" and "Your Name." It seems he's a fan of Makoto Shinkai's movies. "Voices of A Distant Star" happens to be Shinkai's breakout movie. It's rumored he did all the animation and even some of the voicing all by himself. It's a nice movie by the way. It lasts for only around 15-20 minutes -- less than an episode of one anime.